The 9th ‘building block’ or ‘primer’, in Daniel Goleman et al’s series for Emotional Intelligence is all about the coach and mentor role of leaders. The style of these primers is very discursive, with chapters from several experts in the field. I mapped out the key points that emerged for me as I was reading the primer, and then re-produced them in slide form. I hope that readers will find this visual guide helpful. Coaching and mentoring is about focusing on the individual’s goals. The key themes in the primer seem to centre on these four main points..
2. What coaching and mentoring are not! This seems like an excellent little guide for aspiring coaches and mentors. The RiverRhee team not only provides one-to-one personal coaching for individual contributors and managers, but also develops manager’s competencies in this area, with a course “Coaching Skills for Managers“. There are so many resources available to help managers perform at their best. We teach coaching skills in RiverRhee’s Introduction to Management course and just one of several frameworks available for that. We also apply these skills ourselves as coaches. The result is a double benefit: it enhance managers’ performance and it gives them a tool to develop their direct reports’ performance. 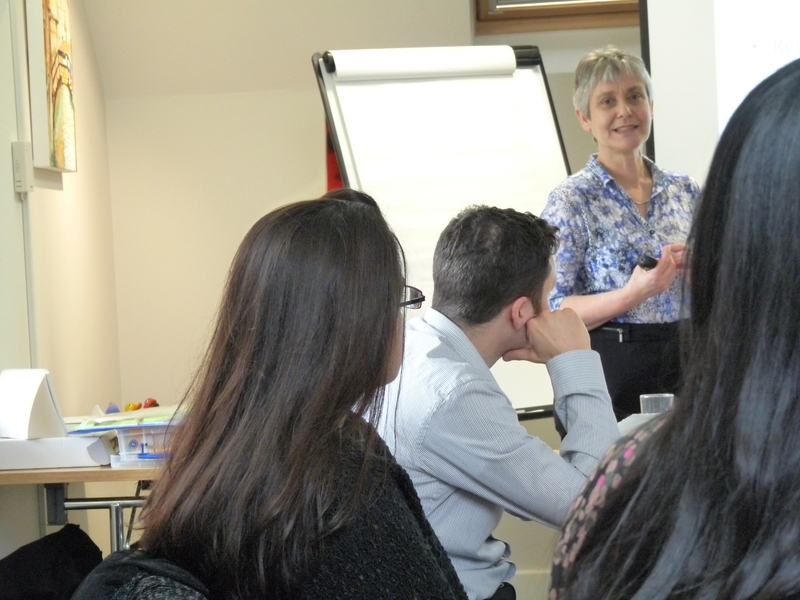 Click here for information on RiverRhee’s Introduction to Management course. I’m always looking out for new resources to develop my own performance as well to pass these on to the scientists and managers that we work with. I recently wrote about Appreciative Inquiry and how this could be applied to the GROW model of coaching. I’ve been re-visiting Michael Bungay Stanier’s “Do more great work”, and it seemed a very good fit with the Discover phase in the 5-step model that I learnt about in Appreciative Inquiry. (This phase equates to the Options step in GROW.) I tried some of this out with someone I was coaching and really liked the result. This is how a couple of Stanier’s tools could be used in the Discover or Options steps. This the Define step in Appreciate Inquiry, or the Goal in GROW. In particular, help them to articulate this in positive terms: what they want to move towards, rather than away from. They might dwell on the things that are going OK, or the things they are not happy about. (This by the way equates to the Reality step in GROW). What you’re after are the instances of great things that are happening, even if only once! Getting them to jot down their thoughts can be a good aid to their reflection. Illustration of the tools in Michael Bungay Stanier’s “Do More Great Work” for exploring great work. Exploring why the individual has selected that or those examples of great work will reveal what they value most about their work, what motivates them, what their particular strengths are that they would like more of. What to do once you’ve discovered what makes your work great! 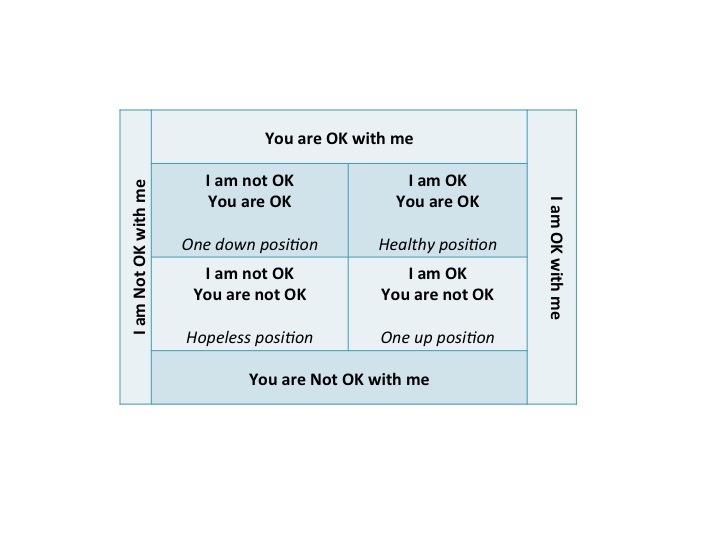 I also like Stanier’s 4-box grid which compares and contrasts things the individual cares and does not care about, with those that their organisation do or don’t care about and thought it could be usefully super-imposed with the 5-Ds’ from the MindGym’s book “Give me time”. So this becomes a useful tool for discussing what options the individual has in relation to their aspiration for doing more great work. The ideal is of course the dream scenario, but the reality is that we tend to have a mix in our work – and we may need to decide what we want to do about that. These are the Design / Deliver steps in Appreciative Inquiry or the Will step in the GROW model. I met Anne Scott through David Gurteen’s Knowledge Café and was attracted by her alternative approach to coaching individuals. As readers of my blog will know, a lot of my work with RiverRhee focuses on introducing tools and ways of thinking to help managers and teams tackle the challenges that they encounter in their day-to-day work. We do this in our training courses, workshops and one-to-one coaching. Anne seems to have something quite original to bring to this mix, so I asked her to write a blog that would provide some insights on her approach. Two of the most powerful resources available to us as managers, and as members of a team are questions and silence. The ideal dynamic, when we are working with others, is to have a natural back and forth of conversation: each person comfortably expressing their views, their feelings, their ideas and listening, responding to, and building on the other’s. That ideal to and fro of conversation occurs when each person is taking ownership for their part in whatever is being discussed, is fully motivated, and has no trouble being assertive; when there is good rapport. But we know that this ideal scenario is just that, that there are times when it does not happen, when it is hard to know what to say, when emotions get in the way, when the other person cannot or will not play their part. This is when asking questions, asking the right questions, and being comfortable with silence can really make a difference. “What are you feeling sad about?” includes our interpretation that the other person is sad. It may be that they have told us this, in which case it may be an appropriate follow-up question. But if they have not told us they are sad, we may be making a big assumption based on their facial expression or body language – but we don’t really know and we are not mind-readers. So a clean question would be: “How are you feeling”? And if they do say “I’m feeling sad”, then another suitable ‘clean’ follow-up question might be “What kind of sadness is that?”, or “In what way are you feeling sad?”, or even just “Sad?” So you are reflecting back on what the other person has said, rather than inserting your interpretation. Caitlin Walker’s “From Contempt to Curiosity” has some terrific structures to help any manager or individual use questions to foster open dialogue and build rapport between individuals and within teams. Rachel Alexander’s and Julia Russel’s “And the Next Question is – Powerful Questions for Sticky Moments” has a rich selection of different questions to use in different situations. Even when we’ve developed the skill to ask the right questions, we can destroy the effect we’ve tried to create by jumping in with our own suggested answer! Silence is so powerful: it gives the other person time to reflect and come up with their own answer. It tells them that we care and want to listen to what they have to say. It encourages them if they are feeling hesitant. Silence can be companionable too. Sometimes just working alongside the other person on something in which you are both involved, or going for a walk together, will create the conditions for the other person to open up and say what they have to say. You may not even have to frame a question! I’m still learning and practising the art of quiet questioning. It’s something that we can not only apply at work, but in our interactions with people at home too. I will continue to reflect upon and share my experiences in my work with managers and teams. It would be great to hear about your experiences too. The WordPress.com stats helper monkeys prepared a 2014 annual report for this blog. The most popular topics were ones carried over from previous years: managing change, communities of practice and coaching for project management. Many thanks to my readers and to my guest bloggers too!